You’ve arrived at Conroe, Texas’ number one quality import vehicle website. Here you’ll have access to Keating Nissan and Keating Honda’s complete inventory where you can browse our wide range of imported vehicles. If you’re interested in appraising or trading in a vehicle, we suggest using our Value Your Trade Tool where you can quickly calculate the value of your car, truck or SUV. If you’re in need of Nissan servicing or Honda servicing in the Conroe, Texas or our surrounding areas, visit our service departments where you can easily connect with a Vehicle Specialists or make an appointment online for your next preventative maintenance or repair. All of our departments, including Parts and Finance, can be reached online or via phone so you can get the help you need as quickly as possible. Whether you’re being helped by our Finance Experts or our highly skilled technicians, you can be sure you’re receiving friendly and personable service. Our knowledgeable staff is happy to provide all the services of any auto repair shop or auto loan provider. Keating Imports provides the advantages of dealing with a local business while also having valuable industry connections that ensures you’re getting the best service possible. Keating Imports proudly serves the Woodlands, Spring, Huntsville, Cleveland, Houston and greater Conroe areas. Visit or contact us today! 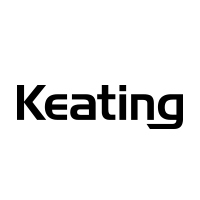 Check out some Career Opportunities here at Keating Imports!